Roasted pumpkin and broccoli frittata | Super easy and delish! Roasted pumpkin and broccoli frittata | Super easy and healthy! The best way to make this recipe is with leftover vegetables. So when you are cooking another dinny, cook extra veggies and leave them aside to make epic frittata for tomorrow! Seriously, so good when you are organised. Just use whatever veggies you have cooked. And actually… add any other extra ingredients too. Frittatas are seriously underrated, there are so many epic flavour combos. 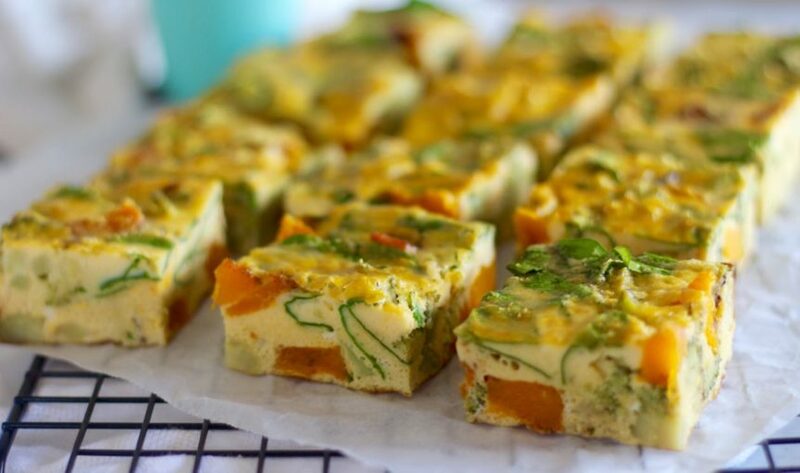 whatever floats your frittata boat! 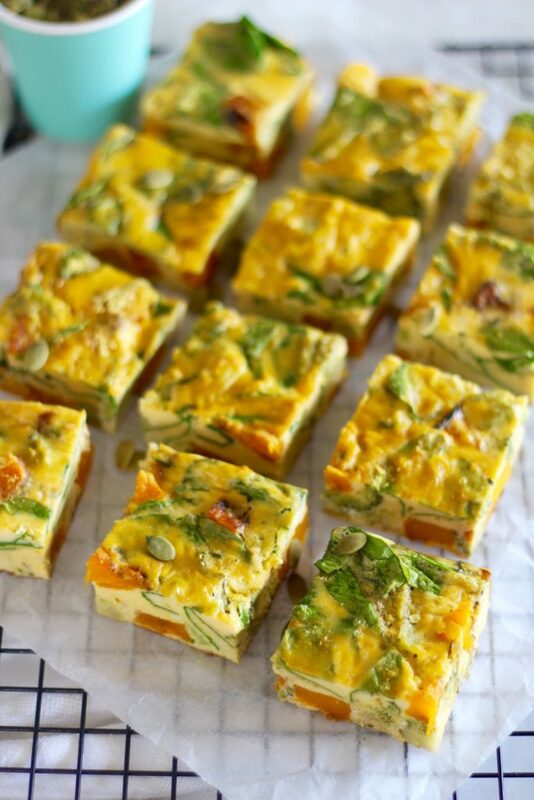 We’ve also added this roasted pumpkin and broccoli frittata to the Get Merry app! 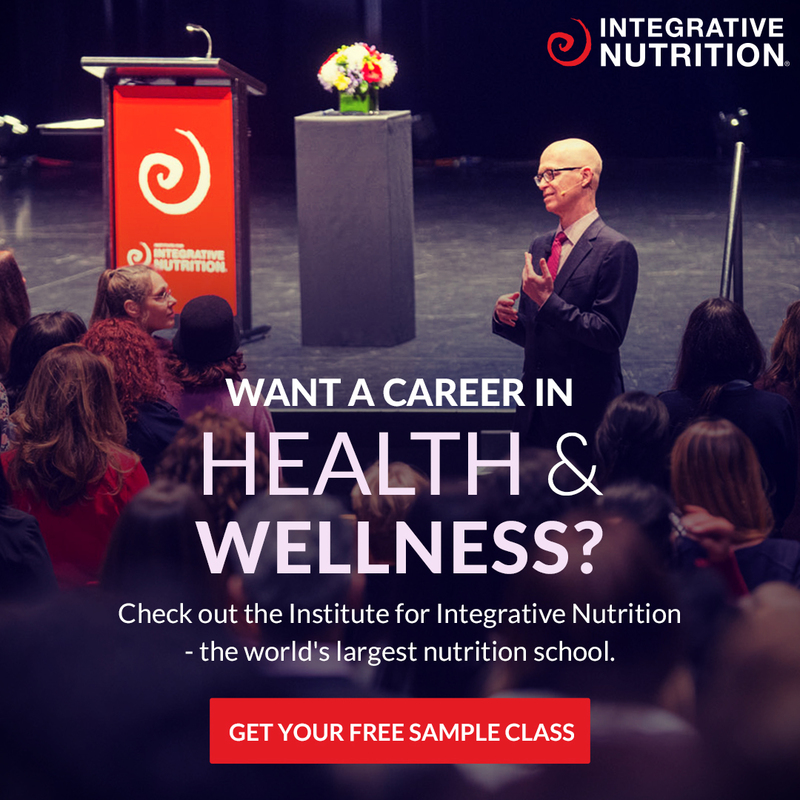 We add every single recipe that gets published on this website PLUS we are now making app only recipes every single week. Boom, how good! 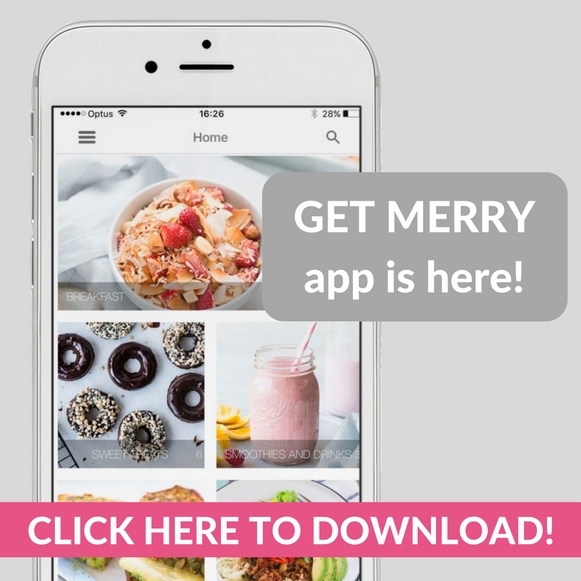 Read more about the app over HERE. Place the chopped pumpkin and broccoli on the baking tray, drizzle with oil, season with cinnamon, salt and pepper. Pop into the oven for 30 minutes. Line a 20 x 20 cm (8 x 8 inch) baking dish with baking paper. Place the cooked pumpkin and broccoli on the bottom, top with baby spinach leaves and pumpkin seeds. In a small bowl whisk all the eggs, add the coconut milk and stir. Pour the egg mix over the pumpkin and broccoli and spinach. Push the veggies down if they are sticking up above the egg mix. Sprinkle with savoury nutritional yeast flakes and pop into the oven for 25 minuets or until the egg is cooked. The best way to make this frittata is by using leftover roasted veggies. Less steps, less cooking FTW!